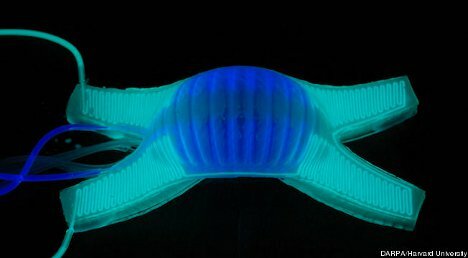 Harvard’s squishy bodied robots seem to be evolving before our very eyes. The sea star-inspired bot was designed as an alternative to rigid robots that have a hard time maneuvering into tight spaces. It moves very, very slowly, but according to the researchers behind the project, it’s more about maneuverability than speed. The project to develop the flexible bodied robots – each of which costs under $10 to produce – was first brought to the public’s attention in November of 2011. Since then, the team at Harvard (funded by DARPA) has developed some 75 different models of slow-moving but helpful little robots. The one in the video above is actually able to camouflage itself to blend in with its surroundings. 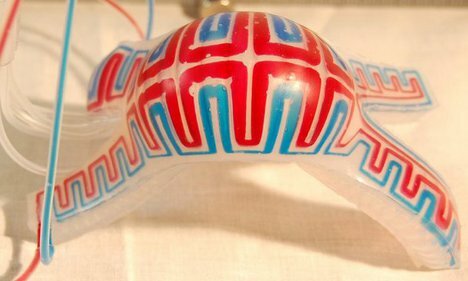 The researchers change the color of the robots by pumping colored ink into the soft bodies. 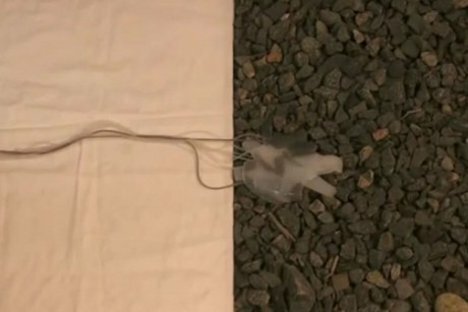 This capability could be helpful in search and rescue operations to make the robots stand out against their surroundings, although in this demonstration the bot is made to blend in with its environment. Maybe even cooler than the color camouflage is the ability to pump warm or cool fluid into the robots to camouflage them in the infrared spectrum as well. Currently, the soft bodied robots are controlled by external pneumatic systems that pump air (and now fluid) through the bots to control them. But with further development, the entire assembly could be self-contained. See more in Robotics or under Technology. August, 2012.